Myo | Long plane flight? Compression socks and stockings help prevent clots by putting gentle pressure on the ankle area and part of the leg to keep blood moving. If you like to travel you know that planning is half the fun and all important for a safe, comfortable, worry-free trip. So you get your travel insurance, necessary vaccinations, pick up essential supplies and pack good footwear. While you’re at it, consider getting a pair of compression stockings – another way to reduce potential travel-related problems. Compression stockings are most commonly worn by people with blood circulation problems and therefore at risk of conditions such as blood clots in the legs (also known as deep vein thrombosis – DVT). Symptoms of DVT include swollen or painful calves or thighs, redness, fever and skin discolouration, although sometimes there aren’t obvious or noticeable symptoms. Left untreated, a blood clot can break off, travel to the lungs, and cause death. One of the main risk factors for DVT is long periods of inactivity – such as a long airplane flight. Compression socks or stockings fit tightly, particularly at the ankle, and that gentle pressure encourages the flow of blood to deep veins, which in turn prevents blood from pooling and clotting, reducing the risk for DVT. Are they worth buying or is the money better spent on a snazzy new travel pillow? Research evidence shows that wearing compression socks or stockings during flights lasting more than 5 hours helps reduce DVT in people who show no symptoms. Compression socks and stockings may also help reduce leg swelling, discomfort, and blood clots from forming near the skin’s surface. The research also shows that compression stockings are generally safe to use with little risk of harm associated with wearing them. However, they are not cheap (ranging from $10 to $100 depending on the type) so whether they’re a good investment for you depends on your preferences and risk factors for DVT. Other risk factors for DVT include being elderly, obese, pregnant, a smoker, or having cancer or one of several chronic diseases. It never hurts to seek advice from your doctor, especially as there are some people who should not wear compression stockings, such as those with nerve damage, common in people with diabetes. 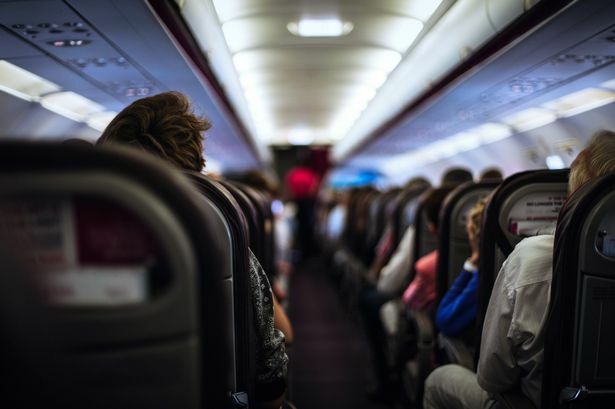 Other tips for preventing circulation problems while en route include standing up and walking around periodically, drinking water and doing leg-stretching exercises. As for the pillow – it probably won’t do anything to prevent DVT, but it might help you be more comfortable during the flight. Happy travels!